Avram Salkin, the “Tax Lawyers Tax Lawyer,” is a founding member of the firm. He is recognized for his unparalled excellence and integrity in the practice of tax law. He has over fifty years of extensive experience in resolving complex Federal and state tax controversies and disputes, in structuring and negotiating complex transactional matters (including the acquisition and disposition of real estate and businesses), family wealth planning, estate planning and probate. Avram Salkin is a Certified Specialist in both Taxation and Estate Planning, Trust and Probate Law, by the The State Bar of California Board of Legal Specialization. Recognizing a lifetime of achievements and contributions to the field of taxation, in 2003 the Taxation Section of the Los Angeles County Bar Association bestowed it’s highest honor on Avram Salkin, the Dana Latham Award. 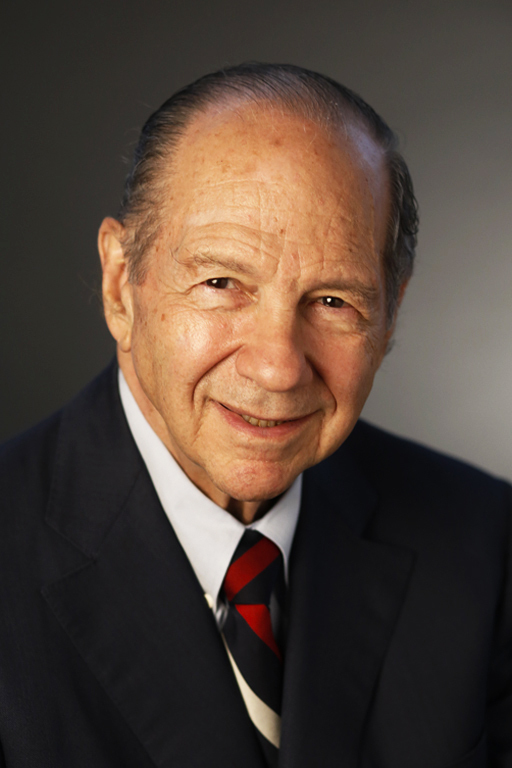 In 2007 Mr.Salkin was the recipient of the Joanne M. Garvey Award given by the Taxation Section of the State Bar of California for lifetime excellence in the practice of tax law. Mr. Salkin is a Member of the Board of Governor’s for the Beverly Hills Bar Association and is the Vice-Chair for the Tax Advisory Commission for the California State Bar Board of Legal Specialization. He is a Past-Chair of both the Business Law Section and the Taxation Section of the Beverly Hills Bar Association and has served on the Executive Committee of the Taxation Section of the Los Angeles County Bar Association. Previously, he served as the Tax Articles Editor of the Los Angeles Lawyer and the Los Angeles County Bar Journal. Avram Salkin’s many lectures include presentations at the ABA Section of Taxation, the University of Southern California Institute on Federal Taxation; California CPA Education Foundation Conferences (Member, Planning Committee, Pass-Thru Entities Conference); the Los Angeles County and Beverly Hills Bar Associations; programs by the California Continuing Education of the Bar on real estate taxation, professional corporations, partnership taxation, and tax procedure; and the California State University Continuing Education Program in real estate taxation. He has also written extensively on many tax-related subjects, including real estate taxation, S corporations, operating loss carryovers, employment tax issues, attorney-client privilege matters, and partnership tax issues. Mr. Salkin is admitted to practice before the U.S. Tax Court, the U.S. District Court for the Central District of California, the United States Court of Appeals for the Ninth and Fifth Circuits, and the U.S. Supreme Court. He received his undergraduate degree, with honors in accounting, from the University of California at Los Angeles and his law degree from the University of California, Berkeley. Avram Salkin holds an “A-V” rating from Martindale-Hubbell. Avram Salkin’s community activities include serving as Chair of the Board of Trustees of Winward School and serving on the Board of Directors of the Guardians of the Jewish Home for The Aging and American Friends of Tel Aviv University.